I have posted different tutorials on login registration feature with PDO as well MySQLi, Today this tutorial is bringing up the new additional step towards the user level security, google has introduced two step verification process with mobile application called Google Authenticator App which helps to bring in multi factor authentication. By using google two-factor authentication you will be able to provide extra security layer to user, foreach and every login step user has to enter security code and it is different for each request it has 30-60 seconds timespan. let’s start by looking at tutorial features and the technology we are going to use to build. At the end of this tutorial you should be able to create a login register application with multi factor authentication process. 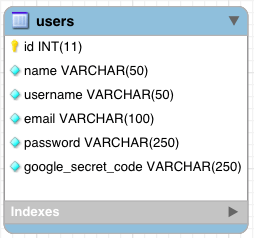 As we are building Login Registration system we need a very basic table to store user details, along with that we need additional field to store Google Secret Code. DB() – this is global function which are going to use in the project while interacting with database. Create registration.php page and use following code do design our registration page. Click here to <a href="index.php">Login</a> if you have already registred your account. We are going to have login page on our index.php page, so let’s create new page called index.php and use below code to design login page. Quick description: We have created DemoLib class along with few basic functions, this class accepts $db variable which is the instance of PHP PDO Connection script, so whenever we needs to call functions from this DemoLib Class we have to pass the PDF connection instance. 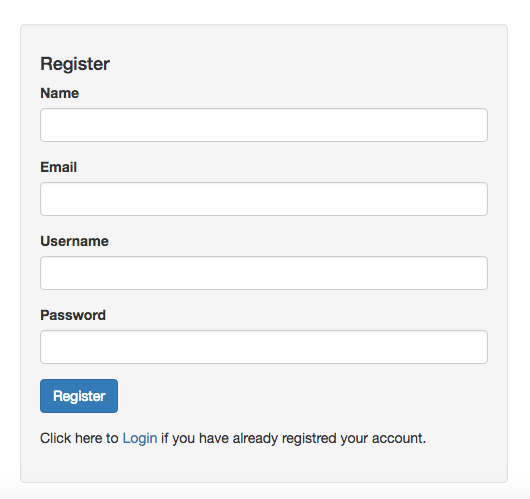 Overall we have our core structure ready to use let’s making our registration from functional. This is the script where we are creating new user in the system along with the unique Google Authenticator Code which is going to be a key while validating user request such as login. If you see above code you will notice we are redirecting user to the next page that is Device confirmation, please make sure you have your mobile phone ready with the Authenticator Application installed. Keep in mind we are validating user here, meaning GoogleAuthenticator is going to need QR Code image of Google Secrete code which we had stored along with the user record while creating new user. So in this step we are going to fetch specific user google secret code and will generate QR code. 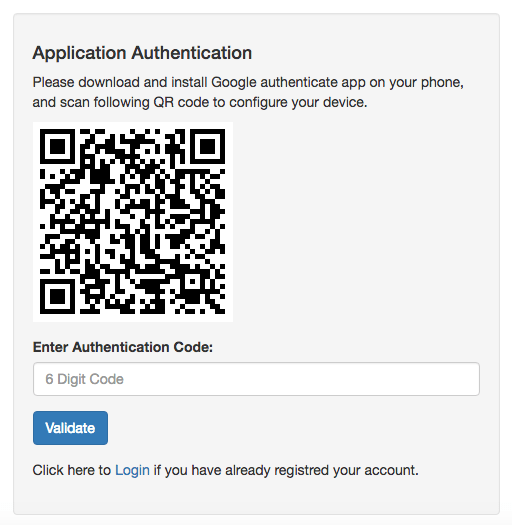 Please download and install Google authenticate app on your phone, and scan following QR code to configure your device. Click here to <a href="index.php">Login</a> if you have already registered your account. We are going to need a sample profile page to redirect user when successfully login or after getting device confirmation. let’s create that. We are doing a simple common operations here to validated user credentials and if valid details found we are redirecting user to extra step that is validated security code. Al implementarlo localmente no funciona escaneo el codigo e ingreso los digitosque me pide y siempre me dice que el codigo es incorrecto, estoy usando la version descargada de aqui. From where I can get /GoogleAuthenticator/GoogleAuthenticator.php ? You must be having an issues with the implementation, kindly checkout the live demo it’s working. and the code delivered to you is completely same as from the live demo. do checkout step by step and let me know if it’s still doesn’t work. Hi there, the code is working in implementation but some bugs occurs. When I try to login then I can access the home page without putting the auth code. I tried as much decoding and searching to not access the home page but still user can access the home page. Your work is not complete. and then fell free to comment.